– Seemingly insignificant racism in the crosswalk can produce significant consequences. Once in court or a hospital, racial disparities magnify. A follow-up study, Racial Bias in Drivers’ Yielding Behavior at Crosswalks is under way at Portland State University. Dr. Kimberly Barsamian Kahn intends to look more deeply at downstream effects than she did in her 2014 pilot study. 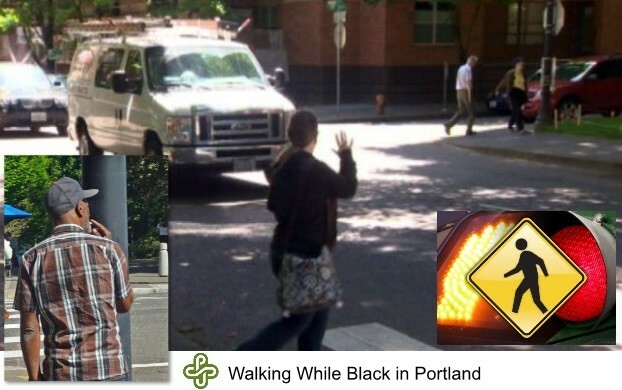 Initial findings reported Black Portland pedestrians at crosswalks were passed by twice as many drivers. They experienced wait times 32% longer than White pedestrians. “Results support the hypothesis that minority pedestrians experience discriminatory treatment by drivers at crosswalks,” assert researchers. Kahn knows racial minorities disproportionately accrue consequences. From 2000 to 2010, bicyclist and pedestrian fatality rates for Black and Hispanic men were more than twice the rate for White men. “If drivers yield differently to Black and White pedestrians at crosswalks, this may lead to disparate crossing experiences and disproportionate safety outcomes,” she hypothesizes. We’ve encouraged researchers to also follow the justice thread, in ongoing work of ‘understanding the effect’ when state law is violated. Consider. The impetus for study was premised on illegal conduct. We think it a natural extension of curiosity to then delve into law enforcement. Oregon Statute 811.028 makes it a a Class B traffic violation not to “stop and remain stopped for pedestrian.” Implicit bias in our community permits the ongoing discrimination. In what arena does illegal behavior continue? Our hypothesis would flow to police conduct. We can make the case that the City of Portland employs cops to over-police communities of color. As planners destabilized and now gentrify historically-black neighborhoods, local authorities shifted those enhanced police resources … to target areas of relocation. It’s a predatory policy, subsequently magnified. 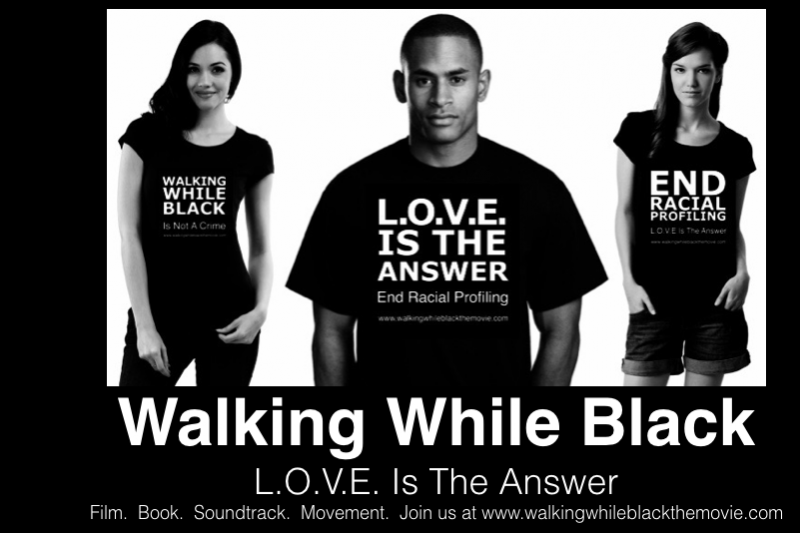 What’s the racial breakdown in citations for jaywalking? It is difficult for us to convey the societal effects of the City of Portland’s race-based surveillance and intervention. Racial profiling does manifest in people’s health*. It damages not only the psyche of the targeted person, but also ripples ominously through communities of color. Unjust police contact is a worrisome burden to carry in one’s day-to-day activity. After a lifetime of disparate treatment, Portland-born people of color become acculturated. They know it’s a waste of time to wait for drivers to obey traffic codes. What those driver’s don’t understand is that, by taking initiative to cross the road, people of color expose themselves not only to the front end of automobiles … they run afoul of police officers intent on further deprivation of their human rights … because of melanin levels in their skin. *In our post Going By the Numbers, we reference Carter and Mazzula’s 2006 paper, Mental Health Effects of Racial Profiling; a National Institute on Aging report, cited in this article; and this reporting by Psychology Today. Deep analysis in this reporting. One in five residents in the 25th Precinct (East Harlem North, 90% black and Hispanic), received summonses. National, street-safety movement calls for increased traffic-law enforcement. ‘Vision Zero’ – an intolerance policy – results in excessive policing of traffic infractions among those with few resources and people of color. Federal Judge allows Jermaine Robinson case to go to trial. On being Tased by Hillsboro, Oregon … for cycling without a headlight … Judge declares, “These are simply not the kind of threatening circumstances or conduct that would conclusively justify the use of a Taser to blast a suspect into submission.” At a link in this story.